Soak the chickpeas overnight then drain. Chop all the other ingredients, in a food processor if you have one. 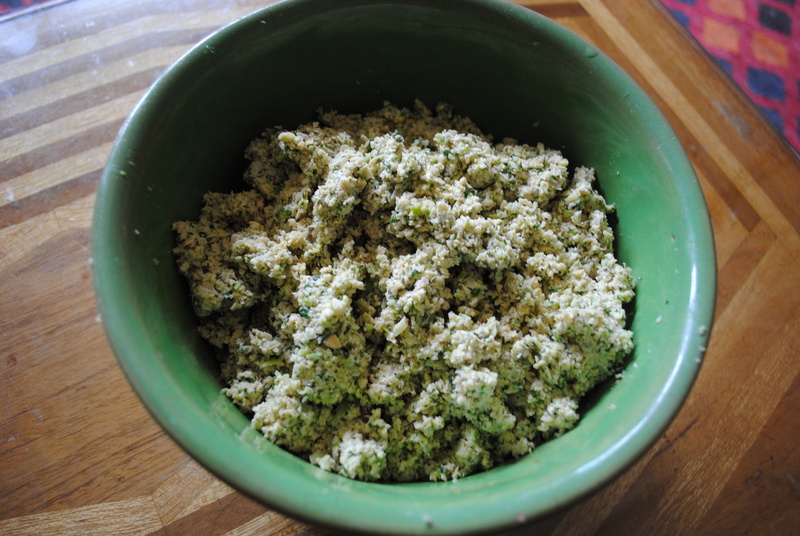 Once you’ve chopped and stirred everything up, the mixture should look something like this, below. 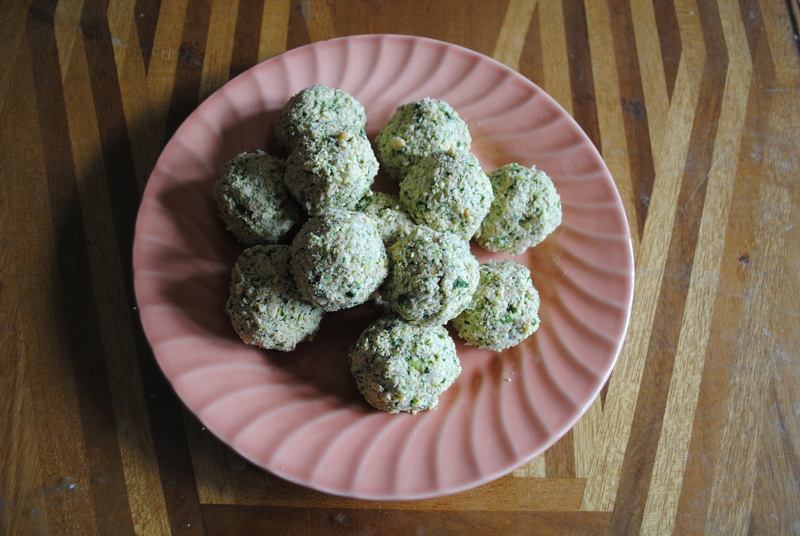 You then roll the mixture into the requisite balls (I like to make them fairly big, so you can cut them in half to serve) and refrigerate them for a while. When you’re ready to eat, lightly shallow-fry the Falafel, squashing them gently with a spatula as they cook. 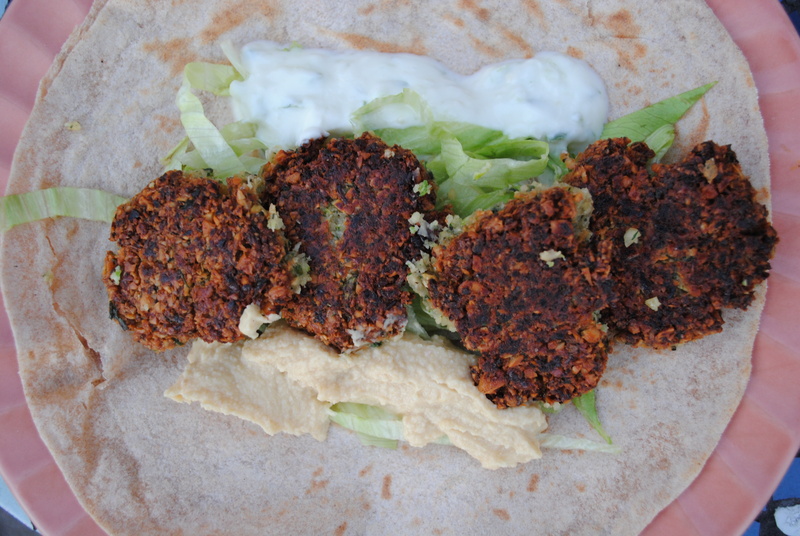 Katy’s Lebanese Falafel, served with Iceberg lettuce, Hummus and Tzatziki on warm stone-ground wholemeal flour wraps.